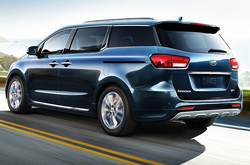 The 2019 Kia Sedona has not gone through a complete overhaul, though it does have an impressive list of upgrades. The exterior has more of a bold appearance and there are many more technology-savvy amenities. The new a-speed automatic transmission improves the performance, too. For any rear passengers, they'll love the rear entertainment system that is now available, too. What are the Available Trims & Features in 2019? There are five trim levels that you can choose from with the Sedona, including the L, LX, EX (and EX Premium), SX, and SXL. 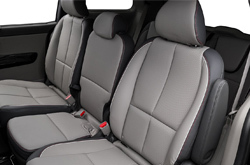 While even the base L has a wide array of features, each higher trim level has even more features and luxury upgrades. The L has four speakers, a trip computer, a rear camera, power windows, tricot fabric seats, and more. The LX begins to improve with an array of available options, including voice recognition and a long list of safety features. The EX includes those safety features and has dash-mounted tweeters to enhance the sound system. The SX upgrades to an Infinity 8-speaker audio system, power-adjustable seats, and more. Finally, the SXL includes many of the optional amenities as standard and allows even more add-ons, such as Nappa leather and a premium headliner. The 2019 Kia Sedona has a 3.3-liter VP engine that can provide 276 horsepower at 6000 RPM as well as 248 lb-ft of torque. The electronically controlled 6-speed automatic overdrive transmission with Sportmatic helps to deliver the enhanced performance so that it doesn't drive like many other minivans on the market. The 18/24 estimated MPG for city and highway also ensures that fuel efficiency is on a higher level. All of the upgrades made under the hood are designed to help the Sedona handle more effectively in all types of terrain. Kia has been a leader in safety for a number of years. 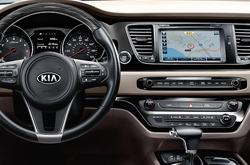 The 2019 Kia Sedona is loaded with a number of safety features. It has dual front advanced airbags, front seat-mounted side airbags, full-length side curtain airbags, and rollover mitigation. There are 3-point seat belts for all positions, electronic stability control, and an anti-lock braking system. Other features include hill start assist control, tire pressure monitoring, rear child-safety door locks, and LATCH for car seats. 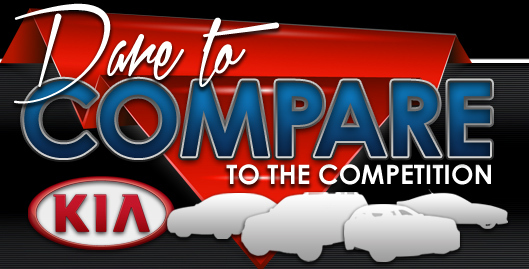 Depending on the trim level that you choose, you can take advantage of a lane departure warning system, smart cruise control, blind-spot detection, and rear cross traffic alerts, too. These advanced systems can help you to prevent an accident by using various sensors to tell you more about what's going on in traffic. 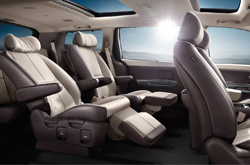 Visit us at Camelback Kia today to experience the power of the Sedona for yourself. What are you waiting for? Find your Sedona now!